The Domes of Elounda, Autograph Collection is an upmarket, high-end Luxury Residences and Ultraluxe Villas hotel complex located in Spinalonga, Elounda, Crete in Greece. 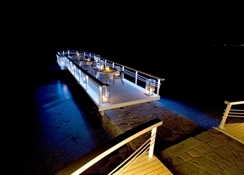 The luxury hotel is set against the Sea of Crete and has its own private beach. The hotel houses multiple swimming pools on its premises, which serve as an excellent recreational option for the vacationers looking for a relaxing sunny holiday. 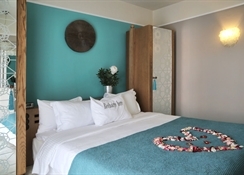 The hotel also houses a high-end spa and wellness centre. The hotel houses for eateries and bars that serve a variety of local and international cuisines like Italian, Japanese, Peruvian, Greek seafood, among others. The property’s location, an unoccupied islet carved out of Crete, makes it an ideal destination for people looking to spend a warm, quiet and relaxing vacation in Greece. The Domes of Elounda, Autograph Collection is located on Spinalonga islet, which is easily accessible from Aghios Nikolaos and Elounda. The hotel is located 81.1km away from the Sitia Public Airport and 74.1km from Heraklion International Airport. The closest beach is 100m away from the property. Tourist attractions like Spinalonga Fortress, Archaeological Museum of Agios Nikolaos, Panagia Kera Church (in Kritsa), Lake Voulismeni and Agios Nikolaos Port are located within a range of 10km from the hotel. The Domes of Elounda, Autograph Collection houses 118 guestrooms and villas, which have been designed with utmost detail and elements of traditional Greek architecture. The hotel has categorised the guestrooms in 9 types based on space, amenities and number of occupants. Premium One-Bedroom Suite with Garden View, Premium One-Bedroom Suite with Sea View, Premium One Bedroom Suite with Sea View with Private Pool, Family Suite Sea View with Outdoor Hot Tub, Luxury Two-Bedroom Suite with Sea View, Family Suite with Garden View, Luxury Two-Bedroom Residence, Private Two-Bedroom Residence and the Family Suite Sea View with Private Pool are the rooms available. The rooms are equipped with all modern day equipment like flat-screen satellite TV, air-conditioning, direct-dial international telephone, free Wi-Fi, outdoor Jacuzzi, private bar, mini-fridge, hairdryer, luxury bathroom amenities, bath linens, bathtub, toiletries, etc. The Domes of Elounda, Autograph Collection houses 3 restaurants and 1 bar on its premises. THÓLOS - Greek & Multicultural Restaurant, TOPOS 1910 - Greek Seafood Restaurant, YAOSAI - Bar & Asian Restaurant, BLEND - Italian Fusion Restaurant are the eateries on the premises. 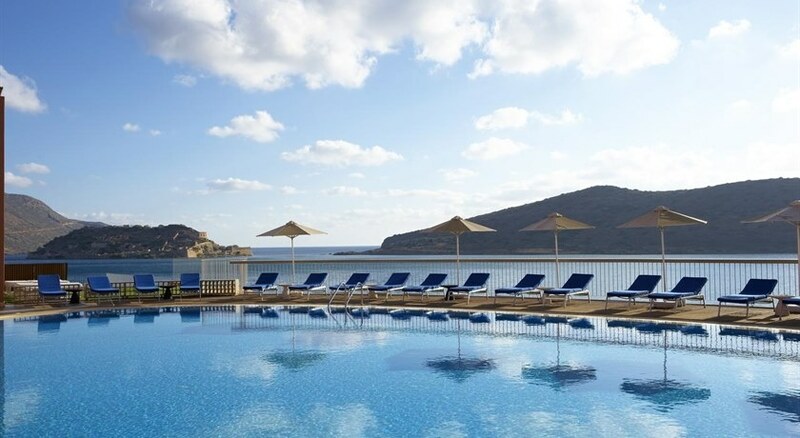 The Domes of Elounda, Autograph Collection houses multiple swimming pools where the guests can indulge in pool games and enjoy a refreshing dip. The proximity of the beach also allows the guests to try water sports and activities like snorkelling, horse riding, diving, cycling, hiking, windsurfing and fishing. The guests can also try sunbathing on the hotel’s private beach. The hotel also houses a high-end spa, where the guests can avail the services offered and pamper themselves.